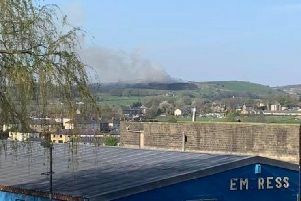 Firefighters are at the scene of a huge fire in Colne this evening (Thursday). Plumes of black smoke can be seen in the sky and emergency services are at the scene tackling the huge flames. According to reports on social media, the blaze started at a factory.